Imagine this: you’re at an all-day event and have been surrounded with too many people for too many hours. You’re reaching a point where you want need some alone time. Actually, maybe you’re past that point, and you feel like you’re going to shut down at any moment. Or maybe you’re visiting a client’s office. You’ve already done the hard work of leaving your comfort cave, and now there are several long meetings ahead of you. With people. You’re dreading it, because you feel like you barely survive on days like these. What do you do to make it through? I’ve been through days like this many times before. Today, I want to share a few tricks I’ve learned for enduring them, but first let’s start this conversation with something that is totally under your control: attitude. When creative introverts step out of our comfort caves to spend time in an environment where people demand attention and engagement, it requires a lot of energy from us. Most times, we gladly give this energy if it’s in pursuit of our mission. But sometimes, it feels like people take it (and sometimes they do!). When we feel that, we can begin to have a negative attitude in social settings, which is never good for business. As creative hustlers, we choose to give our energy when we feel the need to. We’re generous in that manner because it’s part of our art and craft. Stepping into social situations when necessary doesn’t have to be a slog, and it won’t be if you remember every day why you’re there. The key to changing your perspective is to start with a positive attitude, and remember that you’re taking these steps outside of your comfort zone for a good reason. Once you’ve built this foundation, you can learn some tricks to quickly recharge that will help you make it through those busy social days. Make a “Quick Recharge” list. Our moods decline quickly when we begin to feel drained. Identifying things that can give you quick recharges is critical for survival when you’re in the wild… or a day full of in-person meetings! Heh. Make a Quick Recharge list. Things that bring you happiness, excitement, calmness, and/or peace are often the same things that can recharge you. You should be able to identify these things by observing the way you react to them. If something makes you laugh to the point of almost crying, throw it onto your list! Anything that makes you smile, laugh, take deep breaths, feel motivated, want to exercise, or feel more gangster (yes, I said feel more gangster) should make it onto your list. These things are like your own personal prescription for energy pills you can take when you’re feeling drained. Anything that lifts your mood or gives you energy can be on your Quick Recharge list. Make sure these are things that can have an immediate effect, since these items are meant to give you a quick but consistent recharge. This might not be feasible for everyone, but if you can find a place to squeeze in a quick snooze, then go for it! When a friend of mine worked as an employee, he took naps religiously during his lunches. Instead of eating, he’d go to his car and take a nap. He had pillows and blankets in his car, ready to go. He’d make sure to park in places where the sun would shine during winter, or shaded areas during summer. Naps came to his rescue on many days. When he was nowhere to be found, his co-workers knew that he’d probably overslept, and they would sometimes go wake him up. Soon others began napping too, and it eventually became a trend in our department. No shame in his game! If you’re ever emotionally drained to the point where you’re no longer pleasant company, do yourself (and everyone else!) a favor by eating lunch alone. While most associate eating alone with loneliness, it isn’t the case with introverts. Eating alone can help us. In the end, it will be better to sacrifice an opportunity to connect with a client over lunch than to make a bad impression on them. Bad impressions often last much longer than we’d like them to. If your client insists on you eating lunch with them, just politely decline and say you have an important personal meeting during lunch. It’s not a lie: you’re important, and how much more personal can a meeting be than with yourself?? Some people listen to podcasts or read while they eat to help them recharge. Find an activity you can do from your Quick Recharge list while you eat! Go to the restroom if you need alone time. After all, they are “rest-rooms!” Try identifying restrooms that are less noticeable and have minimal foot traffic nearby. Parents can appreciate restroom alone time. The point is to try and sneak in alone time in a semi-private place, which will naturally recharge you. On your way there and/or back, try to use one of the items on your Quick Recharge list. It can be a quote or funny picture—just something that affects your mood and can give you a quick boost. Go for walks in between meetings. Getting your blood flowing is another great way to recharge yourself, and just walking can do the trick. Go for indoor or outdoor walks between meetings (or sessions if you’re at an all day event), even if it’s only for 5-10 minutes. Try to walk a bit faster than normal. 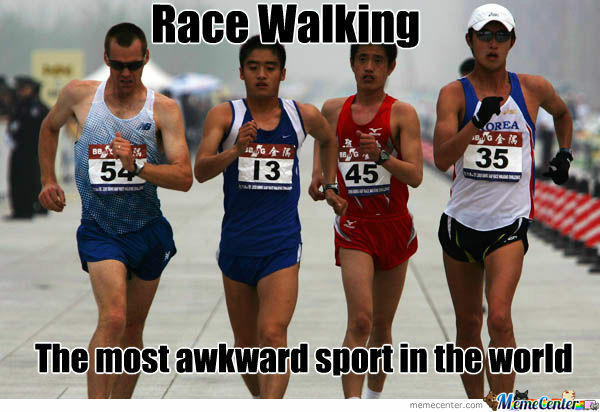 There’s no need to race, though!What you choose to think about makes for a greater walk, so focus your mental energy. You can prepare for your next meeting, or actively avoid thinking about work-related things if they’re stressing you out. Personally, I prefer to mentally prepare. I think about what the topic will be, how I plan to tackle it, and motivate myself to be on my A-game. I often coach myself through some key points, and might even whisper or talk to myself. Some feel awkward about that, but like my friend: no shame in my game! It gets the job done. Drink some coffee or tea. Drinking coffee or tea may be an obvious quick recharge, but beware: rumor has it that the caffeine can also cause a crash later. Many start their day with coffee, but another friend of mine skips his morning coffee on days he knows he’ll be drained. Instead, he waits to drink his coffee in the afternoon. This 2pm treat gives him the extra boost he needs to finish the day strong. One of his life hacks—brilliant! It’s nice and easy to read articles like these and do nothing afterward. If you often find yourself drained by all day meetings or events, I challenge you to make your Quick Recharge list today. Even better, jot down 5 things right now. You’ll thank yourself later. Share a Quick Recharge item with me on Twitter or by replying to this email. I’ll end this article by sharing a random picture that makes me smile without fail. I’m not sure why, but it doesn’t matter, because it works for me!